You don’t need to be a geography genius to figure out that Gulf Shores fishing is pretty hard to beat. 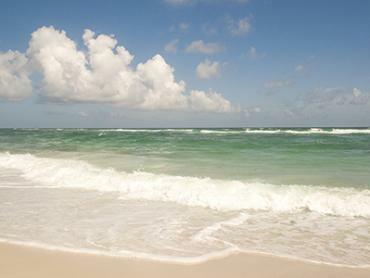 The southernmost settlement of Alabama, this popular resort town is aptly nicknamed "small town, big beach." 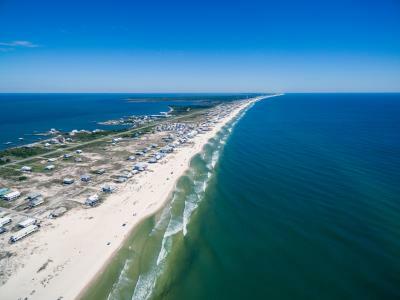 But for those who want to get more out of their vacation than simply soaking up the sun, Gulf Shores offers a year-round fishery that features all the big stars of the Gulf of Mexico. Gulf Shores and nearby Orange Beach are home to one of the biggest fleets of charter boats on the whole of the Gulf Coast. And it’s no surprise that these Gulf Coast fishing charters are some of the most popular in the United States. With easy access to waters that are filled with artificial reefs, channels, and bays, local captains can give anglers of all shapes and sizes an enjoyable day on the water. Although the city harbors an increasingly rewarding inshore fishery, reef and deep sea fishing remain the name of the local angling game. 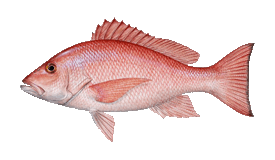 Often considered ground zero for American Red Snapper fishing, an army of over 17000 artificial reefs dominate the local seafloor, creating the ideal habitat for enormous - and delicious - fish. Not only that - these man-made habitats have created a thriving eco-system of Gulf Coast fish such as Triggerfish, Grouper, Amberjack, and over half a dozen Snapper species. Strictly enforced fishing regulations and elongated closed seasons for certain species may not seem particularly fun to most fisherfolk, but they do make sure the bite is more than red hot when it counts. In addition to bottom fishing, count on summer and fall offshore seasons to bring you head-to-fin against world-class piscatorial warriors such as Wahoo, Kingfish and Spanish Mackerel, as well as Tuna, Sailfish and even an odd Marlin every now and then! But you don’t need to travel far to catch big fish in these waters. 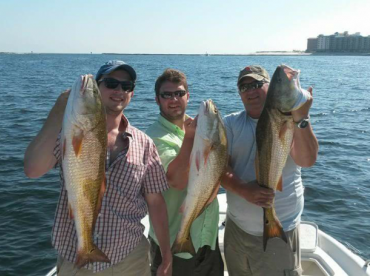 Monster Bull Redfish, Black Drum, and Speckled Trout inhabit the local bays and coastline. 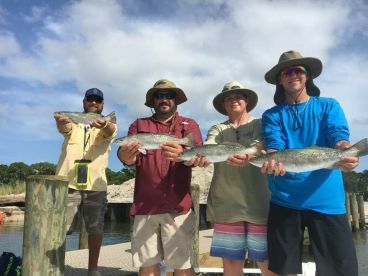 Whether you are heading into the sheltered Little Lagoon to target big Speckled Trout or fishing along the beaches for Pompano, there are plenty of options. Land based anglers should head to the fishing pier at Gulf States Park. The second-longest pier on the whole of the Gulf of Mexico, this 1540 ft long structure is an excellent place to soak up the atmosphere and catch some nice fish. To spice things up even further, Gulf Shores is right by the beautiful Shelby Lakes, a 20 acre paradise for freshwater anglers. 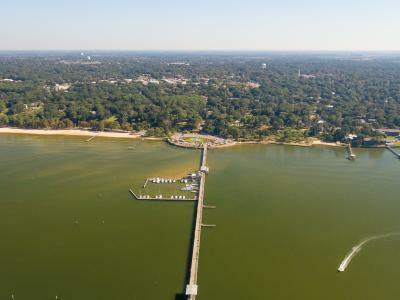 Stocked with Bluegill, Crappie, Bass, Catfish, and much more, this sheltered waterway has something to offer even when the winds are blowing a storm offshore. Fishing licenses are compulsory for everyone between 16 and 65. These can be purchased at most places that sell fishing equipment and supplies, and the price depends on your state residency. Fishing licenses are not required when fishing aboard a licensed charter boat. 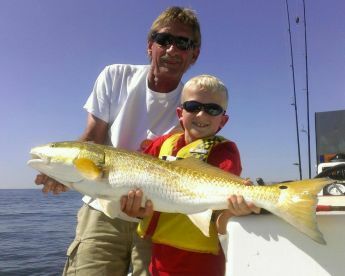 The majority of Gulf Coast fishing charters are fine-tuned to know exactly where and how the biggest and best bottom fish can be caught on a day-to-day basis. Usually, they will load up on fresh squid or baitfish such as cigar minnows - Snappers and Groupers are big fans! Gulf Shores surf fishing can be very rewarding for those without access to a boat. Find a part of the beach that is not too crowded or head to the Gulf States Park fishing pier and fish from dawn to dusk. Bring live or frozen shrimp, squid, sand fleas, or cut bait to entice a bite, or experiment with shiny spoons and spinners. This will get a great reaction from Pompano, with Whiting, Sheepshead, Speckled Trout, Redfish, and Flounder all being regular catches. Pro tip - don’t miss out on sight fishing for Bull Redfish as they migrate along the coastline in the late fall and early winter. Schools of up to 1 000 fish are not unheard of! The Dixey Bar area at Fort Morgan is a hotspot. The weather may be cold, but don't be put off. Often, you'll find that the colder the weather, the hotter the fishing. We recommend sight fishing for Bull Redfish along the beaches on a clear day or targeting Grouper offshore. The cold weather continues, with Redfish and Sheepshead still biting well in the bays. 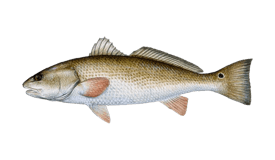 Shake the winter doldrums with the annual Black Drum run, which is an excellent opportunity to catch big fish on light tackle. 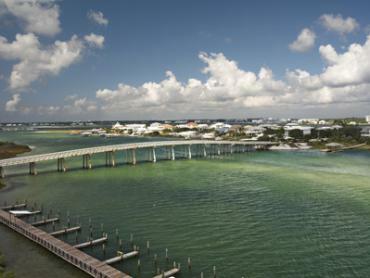 Celebrate Spring Break in style by catching Redfish and Trout in the bays and passes and looking out for Amberjack and Grouper over the reefs and wrecks offshore. Cobia arrive at the endof the month. As the waters heat up, the number of species available increases. Cobia fishing is on top form and will continue through May: sight fishing for these big fish as they swim past the beaches is an unforgettable experience. The action offshore is getting hotter as Mahi Mahi, Wahoo, and Tuna are caught on offshore charters. 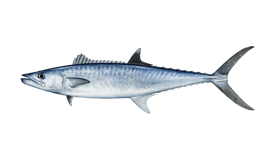 Bottom fishing is also on the increase, while inshore Flounder and Spanish Mackerel are rewarding catches on light tackle. 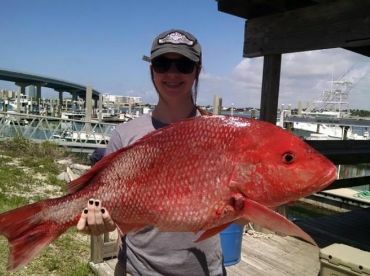 June in the Gulf Shores is all about Red Snapper. With both State and Federal waters usually opening this month, this is prime time to catch some great table fare. Mahi Mahi is at its peak offshore and Black Drum is coming to a close. Gulf Shores is at its hottest and the fishing is diverse. Inshore, try fighting a Shark in shallow water, or enjoy catching Pompano on light tackle. Sailfish and Tuna can be caught offshore. Remember to book in advance! With temperatures soaring, the best time to fish is in the early morning. 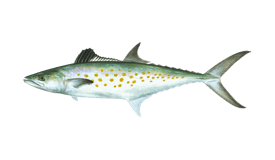 Our best bet is to stay nearshore to troll for King and Spanish Mackerel or hunt for migrating Tarpon. The famous Alabama bottom fishing bite is on fire. Morning fishing continues to be the best option: humidity is high and afternoons are usually rainy. Enjoy the Kingfish migration, travel offshore for White Marlin, or have fun inshore with a strong Speckled Trout and Redfish bite. The weather becomes cooler, with cold fronts changing up the fishing. On days that aren't affected by the infamous 'Blue Norther' you can have a productive day bottom fishing or targeting Speckled Trout and big Redfish. Bull Redfish are gathering off the beaches and make for an amazing spectacle as they make their way to their breeding grounds. Weather conditions can put a halt to offshore fishing charters so make sure to be flexible. 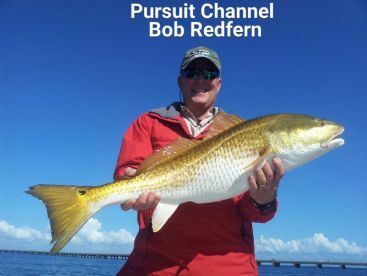 Bull Redfish are still making an appearance off Gulf Shores: sight fish for them on a clear day for some of the most exciting fishing in the Gulf of Mexico. Weather conditions are usually relatively mild until the middle of the month. "Excellent charter with Captain Todd"
Sheepshead were spawning and in abundant supply. Reds were also uncharacteristically schooled up and easy to catch. Plenty of action. "6 hour trip with Captain Perry"
Fishing seems a little slow as spawning and migrations are not in full swing yet! "Half Day Trip W/ Captain Brice"
Check the dates carefully, because it sounds like several different species spawn in a short period in spring. Really good options to catch a few different types of fish. "Excellent Day Fishing in the Gulf"
Be prepared for cool weather and some waves!